The teether is offered with a cord on chosen color measuring app. 80cm and provided with a secure clasp that comes off without breaking when subjected to too much pressure. 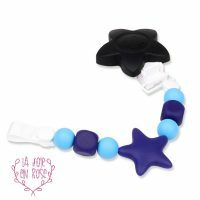 Mom can wear it while baby chews it or choose to remove the cord to transform it into a simple toy. 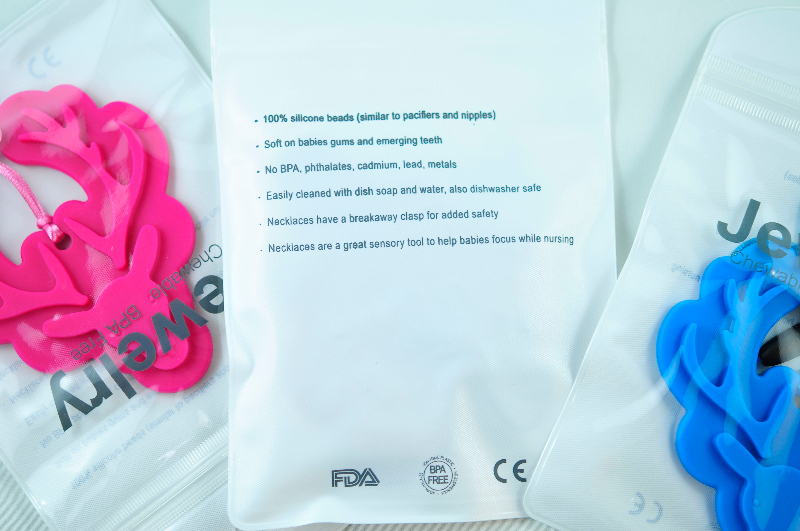 Made of food-grade silicone, 100% non-toxic, BPA, phthalates, lead or cadmium free. 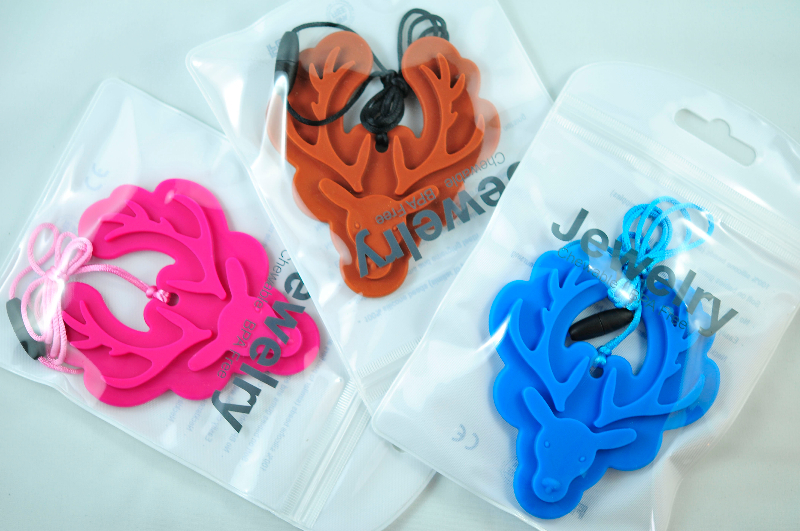 *** The antlers has been designed in a rounded fashion to avoid injuries caused by a sharp object. Dishwaser Safe or Be cleaned by hand with water and mild soap. Wash before first use. 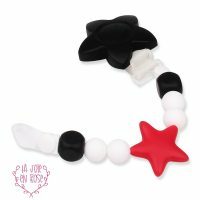 It also serves as sensory awareness toy with its different textures. Thank you. I love it and received it quickly!